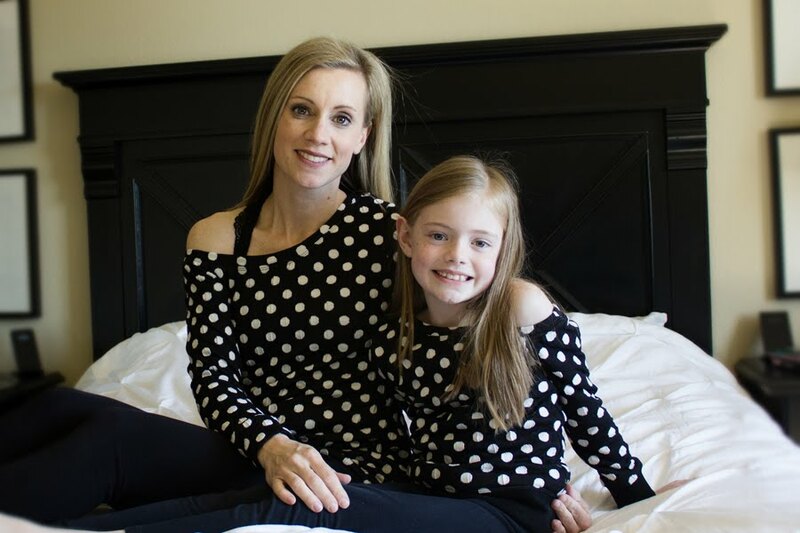 A few weeks ago I let my daughter pick out some fabric for a new top or dress. 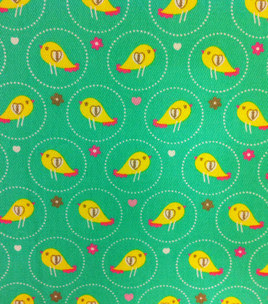 She settled on this cute spring themed bird fabric from Joann Fabrics. It was on sale along with this pattern that I picked up for a $1.00. While I am happy with the end product I had two little hurdles in the beginning. First, I didn't buy enough fabric so I had to get some more and secondly, I mistakenly cut the large ruffle with the birds going the wrong direction...uhh, had to scrap a large junk of fabric for that mistake!!! 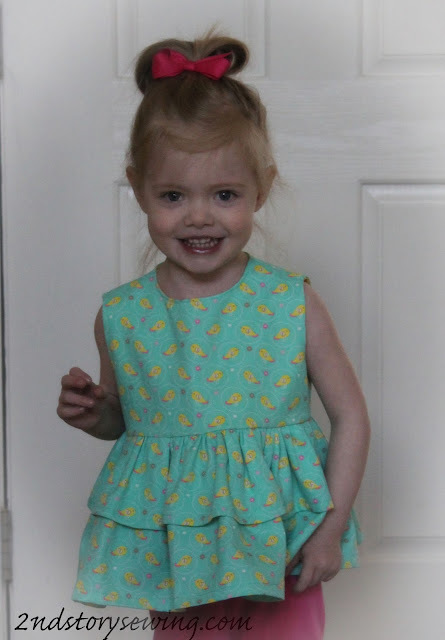 Pattern Description: Butterick 5877 Children's/Girls' Top, Tunic Dress, Belt and Leggings, Pullover top, tunic, or dress has lined, back button bodice. 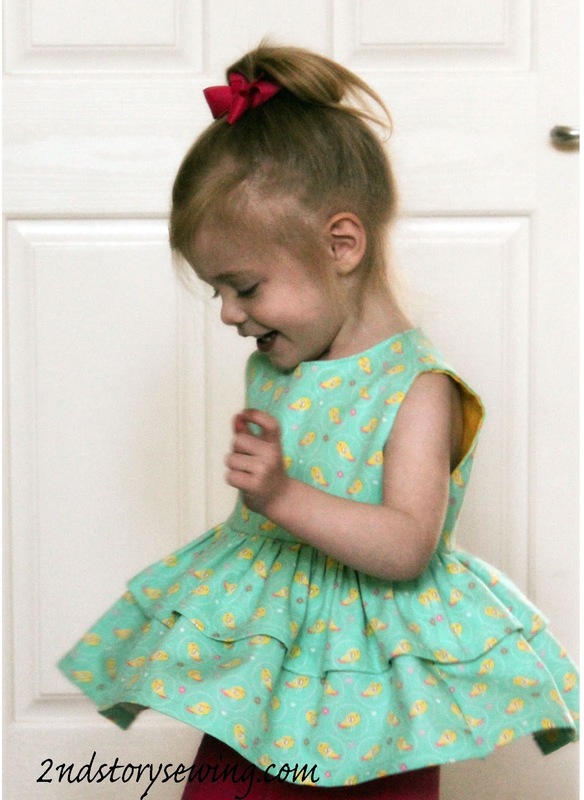 A: ruffles, narrow hem. B:bias, self-lined sleeves, C:collar, thread loops and self belt. B and C: lower band Leggings have elastic waist and no side seams, side slits and bow tie with raw edge finish. Yes, I used view A. Were the instructions easy to follow? Yes, they were very easy. What did you particularly like or dislike about the pattern? I liked that the pattern did not have a ton of pieces and came together quickly. The top is a little roomy but my daughter is fairly petite. 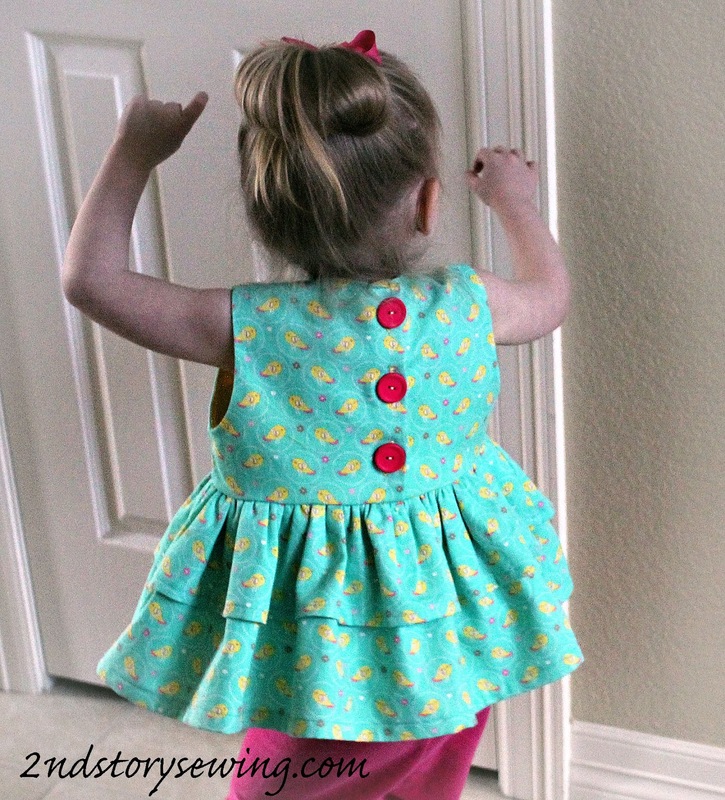 Yes, I think this is a cute and easy girl's top and I would like to make the dress from the pattern as well. If I were to make the same top again I would use a thinner fabric so that the ruffles would lay better. It's sweet! I kind of like the body the fabric gives the ruffles. There is nothing worse than cutting things running the wrong way! Nice save.